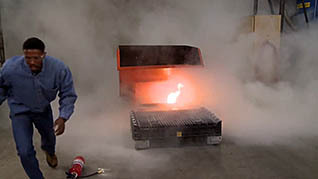 This video training course is for all employees to learn how to properly use fire extinguishers. 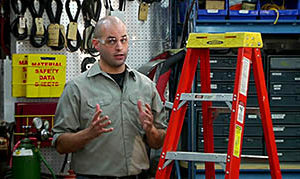 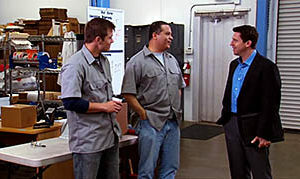 It educates viewers on what to do in case of a fire in the workplace. 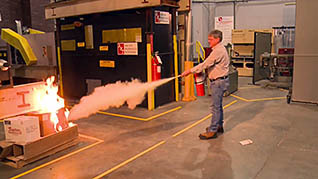 Proper fire extinguisher use requires training. 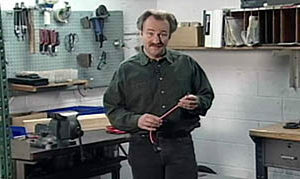 Viewers learn about the different types of fires and how to respond accordingly. 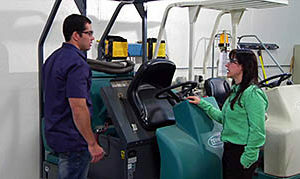 Fire extinguisher inspection and maintenance is demonstrated. 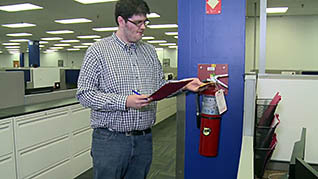 Use this video to educate employees about when and how to use a fire extinguisher.